Finding The Springtimes publication in the mailbox continues to be one of the most anticipated days of the month for residents and for our wait-list families. Everyone knows that you need to read through the book, mark your calendars and make reservations early. There are trips to museums and the theatre, out-to-lunch and dinner dates in the triangle’s favorite places, musical events: Springmoor Presents!, book club meetings, putting on the green dates and of course, always something new! Our Resident Life Director, Leah Willis and Resident Life Assistant, Hannah Skillestad are the best at finding new places for our resident outings and for bringing in new talent to entertain us. The two love suggestions from residents. Searching through the latest travel magazines they can always find creative new ideas. This month, we celebrate the Dog Days of Summer! Yes, it’s hot in North Carolina in August. So pour a flight of beer, scoop the ice cream and get ready to tour the coolest and one of the most spectacular libraries the world – The Hunt Library. 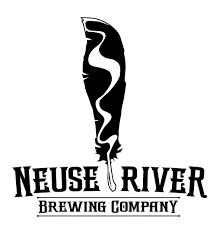 The Neuse River Brewing Company will be here on August 10 for a Beer Tasting. Located just outside the Five Points area, the brewhouse and tasting room, concentrates on Belgian style ales and IPAs. Ryan Kolarov and David Powell, owners of the brewing company are both North Carolina natives. As they began their careers in New York, the Caribbean and California they both discovered a passion for brewing. The two met in California and joined forces as they made their way back to the enthusiastic craft beer state of North Carolina. 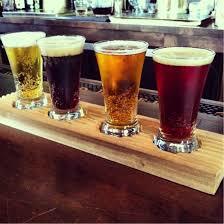 The brewery will bring three craft beers to taste – Biere De Neuse, River Keepers Wit and Bobbi Brune. One is fruity farmhouse ale, one is a traditional wheat beer, and the other a smoked-brown ale. Raleigh is now home to 22 local craft beer breweries. We welcome the Neuse River Brewery to Springmoor and look forward to tasting their latest brews. Our Appy Hour will certainly be entertaining this Wednesday! Thom Nelson, from School For Vegas, will be here on August 15 to deal you a cool hand of cards. Blackjack and Craps are on the evening calendar for The Great Room. Never played before? Not to worry, they are here to teach you a few tricks and deal the chips. 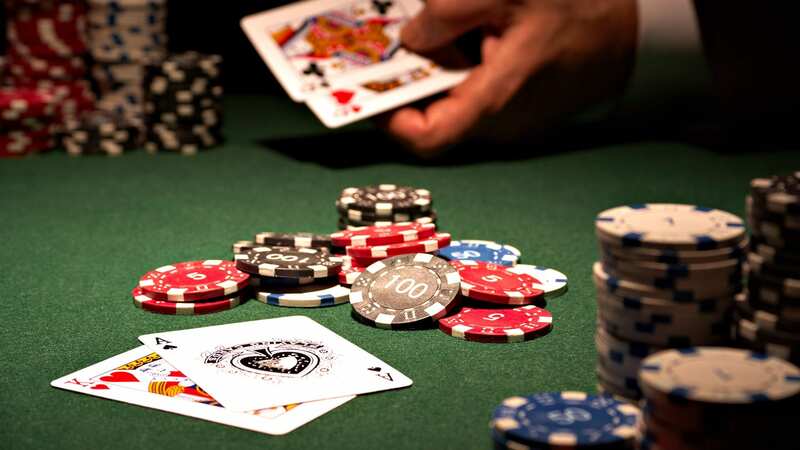 Everyone will surely have fun as the cards are dealt, the betting begins and the chips stack up. Maybe not the Las Vegas prize money at our tables but certainly a great way to enjoy the evening with neighbors, food and prizes. Bring your game face! We don’t want to forget our furry friends. Schnauzers, Dachshunds, Golden Retrievers, Pugs and Poodles – they are all invited to our Dog Show on August 18. 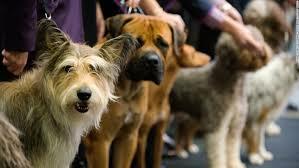 You will think you are at the Westminster Dog Show, as we parade the dogs around. Afterwards, you will be invited to share your favorite animal adventure stories with your neighbors. There will be lots of ice cream and plenty of milk-bones. You can dress your pet in their finest party attire and introduce them to the neighborhood at this tail-wagging event. Longer and wider than a football field, The Hunt Library, on the campus of North Carolina State University, is a tour you don’t want to miss. August 30 is a day that you will want to mark you calendars for this tour. The bookBot, an automated book delivery system, holds up to 2 million books. Robot Alley is where you can watch the four robots in action. With a click of the library’s computer, the robot pinpoints, retrieves and delivers the book to you! It’s amazing! The system takes 1/9 of the space needed for housing the library’s numerous volumes. There is award-winning technology housed on every floor and in every corner of this state-of-the-art building. There are virtualization labs for learning about the environment, transportation, energy and security. The students can simulate many types of situations as they research the world’s emerging issues. There are programming, gaming and computing labs for even more research and problem solving classes. The 3-D printers are perfect for designing the next prototype. Watching them in action will make you want to go back to school again! So many chairs…so many styles! The activities on our calendar are numerous. The sport’s enthusiasts can plan a date on the putting green or at the round-robin Ping-Pong tables every week. Those that prefer a quiet movie or a book club can look for events scheduled daily. A morning cup of coffee with your neighbors or a musical event after dinner, the calendar is full and waiting for you to join in. Whether you are a resident or on our waiting-list, we know that finding the Springtimes in your mailbox, will have you marking your calendar with plenty of educational, appetizing and toe-tapping activities.